Get superb image quality, tabletop convenience and outstanding reliability with this true-laser imager. Print high-resolution mammography and general radiography images with 508 ppi resolution every time. Two film trays allow on-demand printing in five film sizes. Available with CARESTREAM Remote Management Services for automatic distribution of software updates and real-time analysis and response to service issues. 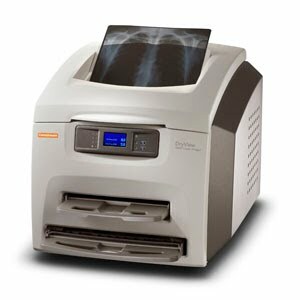 Serves mixed-use applications such as CR for general radiography and occasional CR for mammography. Supports applications including CR, DR, PACS, CT, MRI, US, NM, and Digital Fluoroscopy.